We have stories. Lots of them. We want to share our stories and have others share their stories here. Please join us in telling stories through written word, photos, and videos. In this era of #MeToo and #TimesUp, International Women’s Day 2018 follows a movement that has arisen from the voices of people globally for the rights of women and equality and justice. The public is demanding change as an outcry against sexual harassment, violence, gender gap in wages, and discrimination against women. The time is now. #PressforProgress. Green Women Rising, the Green Party Women’s Caucus in Utah, joins women world-wide in embracing the opportunity to be part of this movement that is rapidly empowering women in rural and urban settings to raise up their voices and take action for women’s rights and realize the potential of women. Not only are Utah’s women still lagging behind men in wages for equivalent work, they are also underrepresented in Utah’s politics and often do not have an influential voice on issues that directly impact women in Utah, particularly in the areas of health and domestic violence. The theme for this year’s International Women’s Day (IWD) is “Press for Progress”, launching a year-long campaign in an effort to collectively unify women world-wide towards action to elevate women’s rights. According to the IWD website, it began with the Suffragettes in the early 1900’s, and the first International Women’s Day was celebrated in 1911. The committee on Missing and Murdered Indigenous Women (MMIW), a campaign of the Utah Native and environmental rights organization PANDOS, is actively providing education on indigenous women in Utah who are missing or have been murdered, in an effort to get a registry created to track the incidents. The campaign is centered around the themes of #whoismissing , #mmiw and #nomore. Green Women Rising is an active member of the MMIW project. GWR is actively working to strengthen the tradition of leadership by women in Utah as exemplified by women who have held and currently hold office. Inspired by the legacy of Utah women in leadership, such as Martha Hughes Cannon, the first woman in the United States to hold the office of State Senator in any State (1896), a suffragette, physician and staunch advocate for women’s rights, women can and will rise up to Press for Progress. Green Women Rising support “Virgin Islands Relief Fund” in lieu of starting one of our own in the interest of expedience and ”on the ground” experience. On September 6th , Hurricane Irma tore through the Caribbean, meeting the United States Virgin Islands and British Virgin Islands head on. Irma was the strongest hurricane ever recorded in the Atlantic, with winds reaching over 220 miles per hour. In its wake, a post-apocalyptic trail of devastation remains. A lot of main essentials are desperately needed by citizens on the islands. Please help any way you can so we can get much-needed basics to the people of our island territories, like tarps, fresh water, chainsaws, extension cords, generators, gas, baby formula, bug spray and non-perishable foods. Thank you in advance. Green Women Rising, la camarilla para mujeres del Partido Verde de Utah, declara su oposiciòn a la decisiòn de Donald Trump de retirar el programa de Acción Diferida para los Llegados en la Infancia (DACA, su sigla en inglés). Green Women Rising considera a esta decisiòn como acto de la guerra contra seres humanos inocentes y contra la seguridad de los Estados Unidos de America. Tal como toda guerra, parar a DACA es inhumano, inmoral, y es un ataque contra vidas humanas, mayormente los de niños. El retirar DACA tambièn afecta la economía, la fortaleza moral, y la reputaciòn de los E.E. U.U. Se ha demostrado que el programa DACA, a partir de su inicio, ha aumentado tanto los ingresos tal como la participación en el trabajo para los inmigrantes que son elegible por DACA. A la vez, ha reducido cuántas familias de inmigrantes no autorizados viven en la pobreza. Casi la mitad de los beneficiarios de DACA son mujeres. La mayoría asisten a la universidad, y 50 de ellos asisten a la Universidad de Harvard. Más del 90 por ciento de los beneficiarios de DACA tienen empleo y ninguno ha tenido problemas legales. Estos datos demuestran que los beneficiarios de DACA representan el modelo de ciudadanía estadounidense. Tienen poder de compra significante el cual apoya la economía y traen consigo su cultura de familia, trabajo duro, y perseverancia a este país. Los inmigrantes traen viveza, color, y otros modos de pensar lo cual fomenta ingenuidad, la economía, las artes, ciencias, y tecnología. Es decir, el impacto de lo que contribuyen los beneficiarios de DACA es de suma importancia a una cultura prosperante. El Partido Verde patrocina el valor clave de Respeto para Diversidad, en lo cual creemos que es importante que valoremos la diversidad cultural, étnico, racial, sexual, religioso, y espiritual, y que fomentemos el desarrollamiento de relaciones respetuosos por lo largo del espectro humano. Creemos que los elementos diversos de sociedad deben reflejarse en nuestros organizaciones y grupos que toman decisiones, y apoyamos el liderazgo de las personas que tradicionalmente han sido excluido de papeles de liderazgo. Animamos el respeto hacia toda forma de vida y atención aumentado a la preservación de la diversidad biológica, lo cual es reflejado en DACA. Terminar DACA quita de sus beneficiarios el sueño de una vida como miembros educados y productivos de la sociedad que conocen y aman. Green Women Rising denuncia este acto de guerra por parte de la administración e insta al Congreso a detener este intento atroz de perpetuar la agenda de la Supremacía Blanca que no tiene lugar en este mundo. También exhortamos a Utah a unirse con otros estados en la presentación de litigios a la Casa Blanca en un esfuerzo por detener la desaparición de DACA. 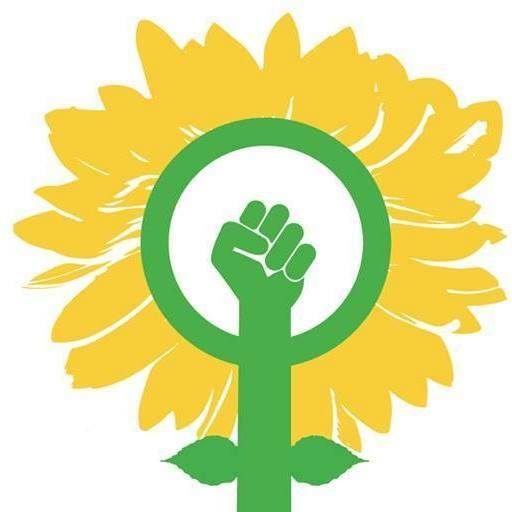 Green Women Rising organizará y acutará en manera de avanzar los derechos y preocupaciones de todos que se identifican como o con mujeres. Green Women Rising, the Green Party of Utah’s Women’s Caucus, stands in opposition to President Trump’s decision to rescind the Deferred Action for Childhood Arrivals program (DACA). Green Women Rising considers this move an act of war on innocent human beings and the security of the United States of America. As with all war, halting DACA is inhumane, immoral and is a blatant attack on human lives, mostly children. Rescinding DACA also affects the U.S. economy, moral fortitude and world reputation. Research has demonstrated that the DACA program has, since its inception, increased the wages and labor force participation of DACA-eligible immigrants and reduced the number of unauthorized immigrant households living in poverty. Almost half of DACA recipients are women. More than half attend college, with 50 recipients attending Harvard University. Over ninety percent of DACA recipients are employed and none have ever had legal issues. These facts demonstrate that DACA recipients are model U.S. citizens.They have significant buying power that boosts the economy and they bring their culture of family, hard work and perseverance to this country. Immigrants bring life, color and different ways of thinking that fuels ingenuity, the economy, the arts, sciences and technology. In other words, the impact of the contributions of DACA recipients is paramount to a thriving culture. The Green Party espouses the key value of Respect for Diversity, wherein we believe it is important to value cultural, ethnic, racial, sexual, religious and spiritual diversity, and to promote the development of respectful relationships across the human spectrum. We believe that the many diverse elements of society should be reflected in our organizations and decision-making bodies, and we support the leadership of people who have been traditionally closed out of leadership roles. We encourage respect for all life forms, and increased attention to the preservation of biodiversity, which is reflected in the DACA. Ending DACA takes away the dream of life as an educated and productive member of the society they have come to know and love. Green Women Rising denounces this act of war by the administration and urges Congress to stop this outrageous attempt at perpetuating the White Supremacy agenda which has no place in this world. We also urge Utah to join with other states in bringing litigation to the White House in an effort to halt the demise of DACA.